Old Goriot (1834) is the second masterpiece to come out of Balzac’s multi-volume project to dramatise the whole of French society – La Comedie Humaine. It tells the story of an old man who is reduced to poverty by the rapacious greed of his own daughters. He loves them dearly, but they spend all his money on lovers and self-indulgent lifestyles. The novel also covers the rise in society of Eugene de Rastignac, an ambitious young law student from the provinces who is attracted to the glamour of fashionable society. He rapidly acquires a beautiful mistress whom he cannot afford, but he retains sufficient moral integrity to stand by his old friend Goriot in his dying hours. This is the first of the Comedie Humaine series in which Balzac introduced the device of recurring characters. A secondary character in one volume might crop up as the principal character in a later novel. Alternatively, a character might appear in several volumes in the series. Balzac was plotting the rise (and fall) of individuals in what is now called ‘serial fiction’. This is roughly the same device that came to be used in twentieth century radio soap operas, or twenty-first century multi-part television drama series. For instance, the character of Rastignac is introduced into Old Goriot as a young law student from the south of France who has arrived in Paris as a student of law. He becomes caught up in fashionable society and rises (very rapidly) because of social and family connections. In later volumes of the Comedie Humaine Rastignac rises even further and becomes a member of the government and eventually a peer of the realm. Balzac was exploiting the technological means of distributing his literary product which were available to him at that time. 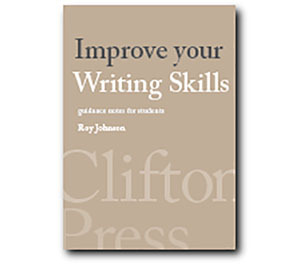 He wrote obsessively, sent his manuscripts off to printers, re-wrote and corrected proofs, sometimes for publication the following day. His work appeared in newspapers, magazines, and printed book formats – often all at the same time. He was immensely productive, became very successful and rich, but lost a lot of his money because of reckless business ventures and an extravagant lifestyle. He was almost like one of the characters in his own novels. One of the side effects of this requirement (and in common with other countries with monarchies and aristocracies) was that people with money were more inclined to form marriages based on someone’s wealth (and social status) rather than on any romantic attachments. There was also a dowry system in common usage that required a potential bride to be offered along with a substantial financial incentive to any prospective husband. The marriage was a legal contract between two owners of property or capital. Romantic liaisons were a separate matter, conducted discretely or secretly once the formal marriage had been established. Balzac’s novels are a clear illustration of this system in practice. Anastasia de Restaud is married, but spends her afternoons with her lover Maxime de Trailles. In fact she is in conflict with him because she is paying off his gambling debts. Rastignac’s cousin Mme de Beauseant makes no secret of her affair with the Portugese nobleman Marquis d’Ajuda-Pinto. She too is in conflict with her lover, because he is threatening to marry the rich young woman Berthe de Rochefide. Delphine de Nucingen is married to the German banker Baron Frederic de Nucingen – but you would hardly think so. She spends her evenings at the theatre with Rastignac, whilst her husband spends his time with a mistress (also from the theatre). Old Goriot eventually pays for a separate apartment where Rastignac can live and where his daughter is free to visit as a lover. Goriot dislikes Nucingen, and feels no qualms at all in facilitating his daughter’s adultery in this way. Anyone doubting the persistence of this system of hypocrisy and double standards should acquaint themselves with the recent history of the English Prince of Wales who was married to Diana Spencer but was also conducting a long term affair with the married woman Camilla Parker Bowles – whom he eventually married after his wife’s death in what many see as mysterious circumstances. Events move very rapidly in this novel. Rastignac arrives in Paris as a humble law student, yet almost immediately via the social connections provided by his aunt, he is circulating amongst fashionable society. And he just as immediately conceives a socially ambitious project to raise his status to that of the young aristocratic blades who are his contemporaries. His main problem is that he lacks the financial wherewithal to live such a life. He borrows money from his mother and sisters – and repays it; he gambles and has astonishing (barely credible) good luck; and his good looks win him the love of an attractive woman with a rich husband. He also has the protection of the godfather Old Goriot, who supports him and even organises for him a bachelor apartment in a fashionable district of Paris. This ultra-rapid rise has something of the fairy-tale about it, but it should be kept in mind that in Balzac’s scheme of French society Rastignac had still further to go. In later volumes he becomes a politician, then a minister, and eventually a peer. Balzac was plotting the stages of social advancement, ascents up the greasy pole of social climbing and the careers of arrivistes . This is not to say that the whole of La Comedie Humaine needs to be taken on board before an appreciation of its individual parts can be made. But it does help in making an assesment of a particular volume that Balzac had other parts of his grand scheme already written or planned which threw light on each other. 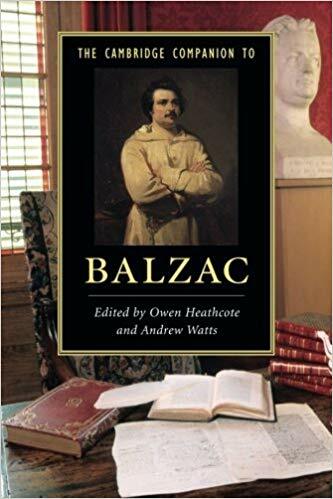 Balzac was a towering figure in nineteenth century literature, with an influence that stretched across Europe and beyond to America. He himself had been influenced by the pan-European influence of Walter Scott, and he was to influence Charles Dickens and contemporaries such as Wilkie Collins and Mary Elizabeth Braddon. He was a great influence on Henry James, whose novel Washington Square (1880) is almost an American version of Eugenie Grandet. Balzac more or less invented what we now call the ‘serial’ novel. That is, a fictional world in which characters come and go from one episode or novel to another. They might be a minor character in one episode, then the major figure in another. This literary technique was facilitated both by the technical means of production and Balzac’s prodigious creative powers in being able to supply the text for the newspapers, magazines, and books in which his characters made their appearances. He had a great influence within the realm of French literature, and his style of realistic detail was taken up by Emile Zola in his series of twenty novels called the Les Rougon-Macquart (1871-1893). These novels sought to document society under the Second Empire. Forty years later Marcel Proust created an account of the collapse of the French aristocracy at the start of the twentieth century in Remembrance of Things Past. This has many elements and echoes of Balzac’s work. It should be apparent to anyone familiar with King Lear that Old Goriot follows a similar plot and is concerned with the same principal theme. Shakespeare’s character King Lear is a rich patriarch who divides his kingdom for the sake of his daughters – only to be then neglected and betrayed by two of them. In Old Goriot the sisters Anastasie and Delphine behave towards their father exactly like Goneril and Regan do towards their father King Lear. They accept all the money he gives them and demand more, whilst showing him no respect or thanks at all. And similarly to the plot of King Lear their husbands seek control of the daughters’ inherited wealth to support their oiwn ends. The parallels with King Lear are neatly completed by the minor figures of Taillefer and his daughter Victorine. The dubious Taillefer is a fabulously wealthy man who has unjustly disowned his daughter. She loves him with unquenchable devotion, and represents the third daughter Cordelia in the Shakespeare tragedy. Cordelia is rejected by Lear throughout the drama, but then is reunited with him only in death. Victorine too is ultimately re-united with her father on his death bed, but she does inherit his wealth. 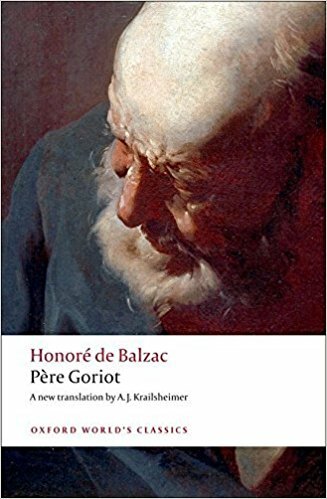 Balzac’s masterpiece, to our own sense, if we must choose, is Old Goriot. In this tale there is most of his characteristic felicity and least of his characteristic infelicity. Shakespeare had been before him, but there is excellent reason to believe that beyond knowing that King Lear was the history of a doting old man, buffeted and betrayed by cruel daughters, Balzac had not placed himself to be in a position to be accused of plagiarism. He had certainly not read the play in English, and nothing is more possible than that he had not read it in such French translations as existed in 1835. The accusation of plagiarism simply does not arise. Shakespeare himself took the plot outline of his play from an earlier source (Holinshed’s Chronicles) and even if Balzac was intimately acquainted with the Lear text, he transforms and re-imagines the story line completely, making it into something quite different – which he describes as ‘this obscure but appalling Parisian tragedy’. The Maison Vauquer is a seedy boarding house in the Latin Quarter of Paris. Run frugally by the widow Madame Vauquer, its principal inhabitants are Pere Goriot, a retired pasta merchant, Eugene de Rastignac, a law student, and Vautrin a shady character of unknown occupation. When Goriot first arrives he is quite prosperous and Mme Vauquer has designs on him. She tries to allure him but fails, and so turns against him. Later, Goriot’s fortunes begin to decline, and malicious rumours are circulated about him. He is visited by young women, but he explains they are his two daughters. The ambitious student Rastignac is provided with an entree into fashionable society by his aunt. Goriot is selling off his silver plate to the money lender Gobseck. Mysterious fellow boarder Vautrin seems to know everybody’s business. Rastignac visits Anastasia de Restaud where he is snubbed by both her husband and her lover Maxime. Rastignac then goes to see his cousin Mme de Beauseant who is engaged in a dispute with her Portugese lover. There he learns the history of Goriot’s two daughters and their rejection of their father. Rastignac vows to enter fashionable society, and writes to his mother and sisters for money. Rastignac’s mother and sisters send him money. Vautrin outlines to him the difficulties of professional success and lists the vices and corruption underlying fashionable society. Vautrin reveals his plans to become a rich plantation owner and proposes a devil’s pact with Rastignac. He will find him a rich wife in exchange for a lump sum. He has in mind fellow boarder Victorine, whose father is a wealthy man. Rastignac gets new clothes and is introduced to Delphine de Nucingen at the theatre. He flatters her unashamedly. He reports the meeting to Goriot , who deceives himself about the devotion of his daughters. Rastignac gambles at roulette for Delphine and wins money which she owes to her former lover, who has just left her. Rastignac indulges himself in fashionable society and gets himself into debt. He borrows money from Vautrin, gambles successfully again, and pays off his debts. Vautrin is revealed as an ex-convict (‘Death Dodger’) whose real name is Jacques Collin. Rastignac is frustrated by Delphine, so he pays court to Victorine Traillefer. Goriot reveals his scheme to house Rastignac in an apartment that his daughter Delphine can visit. Vautrin has meanwhile arranged for Victorine’s brother to be killed in a duel. There is an impromptu party at Maison Vauquer where Vautrin drugs Rastignac and Goriot – but next day he is betrayed to the police and arrested. The woman who betrayed him is forced to leave. Goriot takes Rastignac to the bachelor apartment he has arranged and paid for. Mme Vauquer is upset at the loss of boarders. Rastignac receives an invitation to a grand ball. Anastasie has money problems. Delphine has kept Rastignac dangling for almost two years. Nucingen’s property schemes are in trouble, and he needs control of his wife’s money. Anastasie has sold her husband’s family diamonds to pay off her lover’s gambling debts – but she still needs more money Rastignac gives her a bill of exchange for twelve thousand Francs. The sisters quarrel and harass their ailing father. Goriot is dying, but both sisters go to Mme de Beauseant’s ball. The old man is nursed by Rastignac and young doctor Bianchon, neither of whom have any money. When Goriot dies, he is given a pauper’s funeral. Given any single Balzac novel as a starting point, you can trace where a character has come from and what happens to them in subsequent parts of the great work.